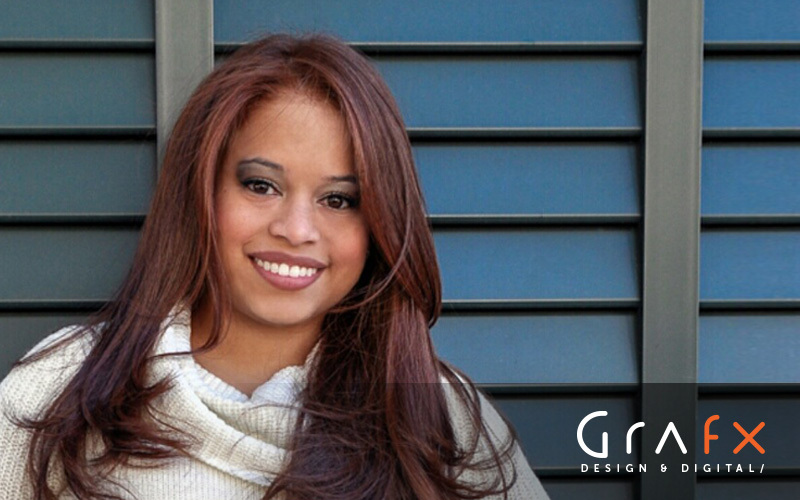 We are proud to announce Valerie Vargas to the Grafx Design and Digital team! Valerie joins us as the Director of New Business Development for the greater Orlando area. Building long lasting business relationships is Valerie’s passion. After working in banking for several years, she decided it was time for a change. Valerie wanted to bring her own style of communication into a new role and have the opportunity to grow within a company. This is where she and Grafx combined forces. Having set her roots in Orlando, she will bring Grafx towards “this side of town” by continuing to expand our services into untapped markets. In her spare time, you will find Valerie with family, friends and her fiancée James. She and James love getting into random adventures and often find themselves visiting different places in Florida. She will be getting married in April of 2017, which will begin a new chapter of adventures, including more frequent travel outside of the United States. Valerie is a huge fan of techno music (and just about any music that ‘sounds great’), movies, video games, and is well known to be a “friends and family person”. Best of all, Valerie thrives on staying busy and working hard for her clients. Valerie is excited to be part of the Grafx family and is looking forward to the success we’ll have together! If you reside in the Orlando area and find yourself in need of expert design and web/digital services, feel free to email or give Valerie a call (407-706-7025). We also encourage you to check the Client Branding and Portfolio sections of our site to view some of our recent projects.